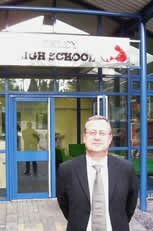 Mr Paul Wright was appointed to the head teacher post at Henley High School after two days of intensive interviews carried out in school and at the Henley Centre, Warwickshire College. He is the governors ’ unanimous choice. Paul, aged 48, originally from Liverpool, has taught for 23 years. He spent the first 11 years of his career in London. He was promoted to lead a sixth form in Derby which he undertook very successfully until his appointment 9 years ago as Deputy Head of Chipping Campden School. His reputation as an excellent teacher and school leader leads governors to be absolutely confident that this high quality performing school will soon be an outstanding academic establishment. 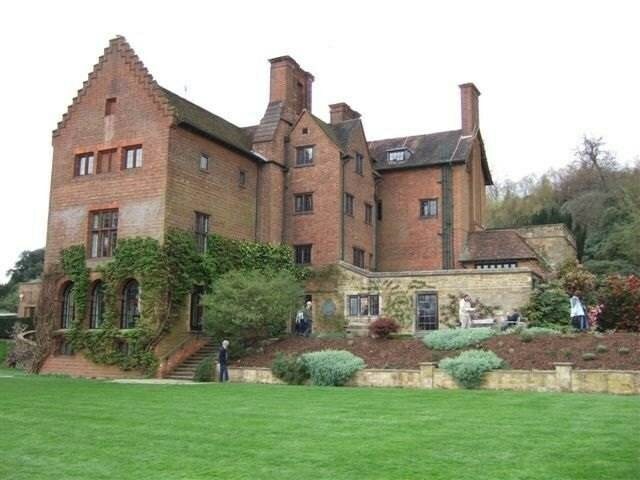 After his appointment Paul stated, “I liked Henley as soon as I came to visit the school prior to my interview. All the staff and students were very friendly and made me feel very welcome. “Henley is clearly a very good school and I feel fortunate to be given the opportunity to lead it in what is an exciting phase in its development. I am particularly pleased that Henley High School is a Specialist Performing Arts College as I know the advantages this can bring to a school and its community. 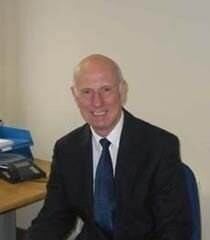 Mr Wright will take up his post on September 1st 2006. The future of the Market could be in doubt after owners confirmed they are undertaking a review of the business. 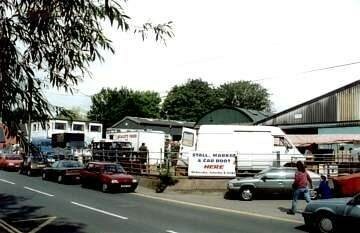 The market, which dates back to medieval times, runs on Wednesdays, Saturdays and Sundays alongside car boot sales. The Warwick Road premises also hold regular auctions. Letters have been sent out to shareholders saying that a change in rules, regulations and restrictions have resulted in discussions over the future of the business. Maxine Warren, secretary of Henley-in-Arden Auction Sale, wouldn't confirm or deny rumours that the market could be sold off to make way for a residential development. "It's very early days and we are in the throws of a review but I can't really say at the moment what that will involve, that all depends on what the members want," she said. "No plans have been put forward, we are in discussion and have to go to the members to see what they want to do." Ms Warren also pointed out that the threat of bird flu could also be a factor in deciding the future of Henley Market. "There has been changes in health and safety and if the bird flu threat comes back then our poultry market on a Wednesday would be greatly affected." Many residents in the Prince Harry Road area would be delighted to see an end to the traffic chaos every Wednesday and on many Saturdays during the year. The market brings very little economic benefit to the Town as the majority of traders come from further a field. When Sarah Rowen heard the famous 'come on down' call on the new series of ITV's 'The Price is Right', it wasn't only good news for her, it was great news for Henley-in-Arden Tennis Club. Sarah, a member at the Stratford Road sports club, scooped a host of prizes after she attended the filming of the famous quiz show in Manchester last Friday alongside nine other Henley tennis players. The lucky contestant's haul included a Suzuki Swift, a designer lamp, jewellery, pictures, a leather sofa, a plasma screen fire, a holiday in Milan and £500 spending money. However rather than keep all of her goodies, kind-hearted Sarah has decided to have the car but sell the rest of the prizes with the proceeds going towards a fund to help upgrade Henley Tennis Club's facilities. The mother-of-three, who lives in Wootton Wawen, said: "The show was completely mad and stressful but it was fascinating. I'd picked up a last minute invitation and wasn't that keen on going. "Nobody thought we had a chance in hell of getting called down." Sarah, an IT consultant, is now considering whether to sell her prizes on eBay or at an auction at the tennis club, where she has been a member for four-and-a-half years. Judy Wilde, who helped organise the tickets to the filming of the show, presented by Joe Pasquale, said: "We were absolutely thrilled to bits when Sarah was called down because that was the aim of going up there, so somebody could get picked and mention Henley-in-Arden Tennis Club. "The prizes were just the icing on the cake, I'd said on the train to Manchester that if anyone won they could keep the car but the rest would go to the tennis club. Thankfully Sarah stuck to that." The original Henley-in-Arden station sign, along with those of Lapworth and Stratford-upon-Avon will be auctioned by GWRA on May 20. Should his piece of our railway history be obtained and presented to the Heritage Centre rather than end up in junk shop in Tokyo which is where the Hatton Station sign was found? The Auction of Railwayana at Pershore High School, 20th May 2006, viewing from 0800 Sale at 1030. Our local Scout troop have asked that you make a note in your diary for their big summer fund raiser. Their ‘Fantastic Family Fun Day’ is on Sunday September 3rd on Henley High schools playground and field. Open from 1pm to 6pm, this great fun afternoon will offer attractions for the whole family, from tiny tots to teenagers, and even grandparents! Attractions will include a number of great fun inflatables, such as a Bouncy Castle, Gladiator Challenge, Bungee run and Bouncy Slide, plus side stalls entertainment too. There will be a BBQ plus tombola, face painting and the like. Admission is free; there’s just a small charge at each of the attractions. All proceeds are in aid of 1st Henley and Wootton Scout troop, to purchase better equipment for the Beavers, Cubs, Scouts and Explorer Scout troops. For further information please call John Johnson on 01564 792073. So for a Fantastic Family Fun Day….put Sunday 3rd September in your diary now! John Johnson …. Fun Day Organiser. Following the Easter break the Beaudesert and Henley-in-Arden Joint Parish Council reconvened for its next round of meetings on Monday 15th May 2006. The Council discussed four planning applications, thirty eight items of business as well as other general and procedural matters during the evening. The vandalism to the councils play area at the Riverlands open space in Prince Harry Road was discussed. Unknown offenders had set fire to a wooden bench, fence posts, litter bin and play equipment causing approximately £500 worth of damage. The council discussed weather the bench should be replaced and if so purchasing a bench suitable for disabled requirements in line with the Disability Discrimination Act. Although the matter was not resolved it was referred to the councils Planning the Environment and the use of the land committee whose next meeting is on Monday 22nd May 2006. The need for proactive reporting of such incidents and the identity of the vandals was stressed. Residents often felt reluctant to identify vandals through fear of recrimination but this lack of action only allowed the vandals to keep getting away with such acts at the tax payers expense. A letter from Warwickshire Police in response to the council’s representations about the limited powers of Police Community Support Officers (PCSO’s) was discussed at length. Members understood that Warwickshire’s PCSO’s had fewer powers than other counties. In Warwickshire Police’s response David Shirley PCSO/Accreditation Manager said the government were about to announce a minimum standard of powers for all PCSO’s. The new powers would be focused on Community Issues such as more Fixed Penalty Notices, Stop and Search powers, and Dispersal powers. The council were unimpressed with the response they had received and still felt the PCSO’s powers were so limited as to make their role ineffective. They resolved to invite Mr Shirley to a future Parish Council meeting to discuss the matter in greater detail. The next council meeting is scheduled for Monday 5th June 2006. Meetings take place in the Baptist Church Hall, High Street, Henley-in-Arden from 7.15pm and as with all meetings of the council members of the public are welcome to attend. The annual Rotary sponsored walk took place last Sunday with 50 walkers entering. The route was 9 miles via Lowsonsford, where the ladies of the Inner Wheel provided refreshments. The event was organised by the incoming Rotary President Alan James and he told Henley NEWS On-line that he expected about £2,000 for the charities. Raynet, the emergency communications organisation, provided the emergency cover and control system for the event. 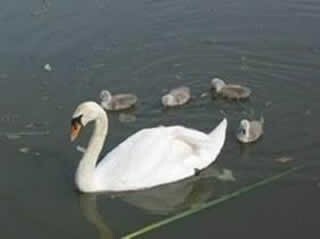 of his family on the walk . The Civic Society are organising their annual outing on Tuesday 20th June. 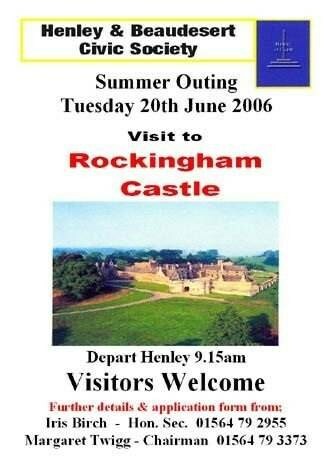 This year they will be visiting historic Rockingham Castle in Leicestershire. 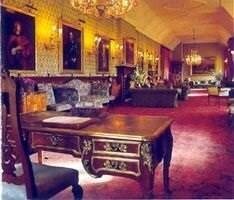 Come with us on a journey through history; starting as a Norman fortress, converted to a comfortable Tudor home which featured in the Civil War, the castle subsequently becoming a Victorian mansion with lavish entertainment, and latterly a family home in a large agricultural community. 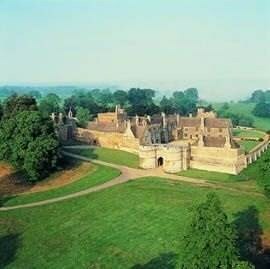 For the first 450 years of its existence Rockingham was a Royal Castle, after which it became a family home and has remained so for a further 450 years. Originally built on the orders of William the Conqueror the castle has played host to many medieval kings, including Richard the Lion Heart and the unpopular King John. 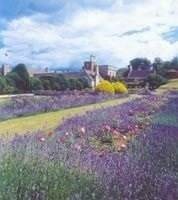 Besides being a fine example of English medieval architecture the castle ramparts enclose 12 acres of sweeping lawns with both formal and informal gardens; all this with fine views of five counties. May I, as Chairman of the Civic Society, invite Henley NEWS On-Line readers to join us on what will be a memorable day out amongst friends. We leave Henley by coach at 9.15am in order to enjoy the maximum time at such an entrancing location. Lunch may be taken in the form of a picnic or or a more formal lunch will be available in the licensed tearoom at the castle. A number of people in the town have generously agreed to open their garden to the public on the above date from 11.00 am to 4.00 pm to raise funds for the Guild Hall Garden Project. The event is being sponsored by Johnsons’ Coaches, who are providing a shuttle service through the town between the southernmost garden in Whitley and the northernmost garden in Camp Lane. There will be a Plant Sale and a Garden Book Sale in the Guild Hall Garden. Teas will be available at Uplands House, Camp Lane. A raffle will be running during the day, with extremely good prizes. The gardens range from small town gardens to large country gardens. An opportunity not to be missed! Johnsons Coaches have launched their brand new website and have already received favourable reaction from customers. Every aspect of their services is covered from holidays through to coach hire. 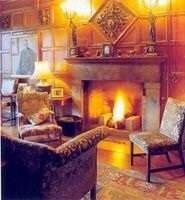 With on line facilities to request brochures and ask for coach hire quotations. Also included is a section on local bus services together with timetable information. Website operators who fail to make their sites user-friendly for disabled customers face unlimited compensation payments and legal costs of up to £50,000. The Disability Rights Commission (DRC) served notice yesterday on private and public service operators that it intends to get tough with the 81 per cent of British-based sites that currently fall foul of accessibility standards for disabled web users. A survey of 1,000 sites jointly conducted by the DRC found that the average Internet home page had not been designed to work with software and hardware systems used by disabled computer users and contained 108 obstacles to ready access. Many web pages failed to allow those with poor sight to use software that reads out text on the screen or transcribes it into Braille. Poor ­ colour contrast between text and background was found to confuse people with dyslexia and the partially sighted. The survey also found that site navigation systems that relied too much on the mouse impeded those with arthritis or restricted movement who depend on their keyboards. The Disability Discrimination Act requires all businesses to provide equal physical access to their products and services or face the threat of prosecution. The legislation does not set a maximum limit to the amount of compensation that companies found guilty of discrimination can be made to pay. The Royal National Institute of the Blind won out­of-court settlements last year after launching legal action on behalf of two people claiming discrimination against organisations with inaccessible websites. The DRC survey, which found little awareness among site operators of their responsibilities under the Act, presages more cases. Only 9 per cent of website developers had tested their sites on disabled users. The web operators running inaccessible sites are turning their back on the £50 billion a year spent by Britain's 8.7 million disabled people, the DRC Said Bert Massie, the commission's Chairman, said that the survey's findings were unacceptable: "Eight in ten sites are next to impossible for some disabled people to use ­ that means no last-minute holidays, cheaper car insurance or lower rates of interest on credit cards. "It also means a technological lockout from chat rooms and web forums, from recruitment opportunities that are increasingly happening through the web, and education and information services that have had an increased profile." The DRC recommendations for making the web more accessible at a relatively modest price included the adoption of formal policies to meet the needs of disabled people and the involvement at an early stage of disabled users in web design. The DRC survey conducted with the Centre for Human Computer Interaction Design at City University London subjected 100 sites to detailed evaluation by users with a range of impairments. Researchers also canvassed the views of more than 700 businesses that had commissioned websites and nearly 400 website developers. Henley News On-line believes that its website and the "Welcome to Henley-in-Arden" website conform to the guidelines. The same may not be true for the JPC website but then they will only pass on any fine to the council tax payers. 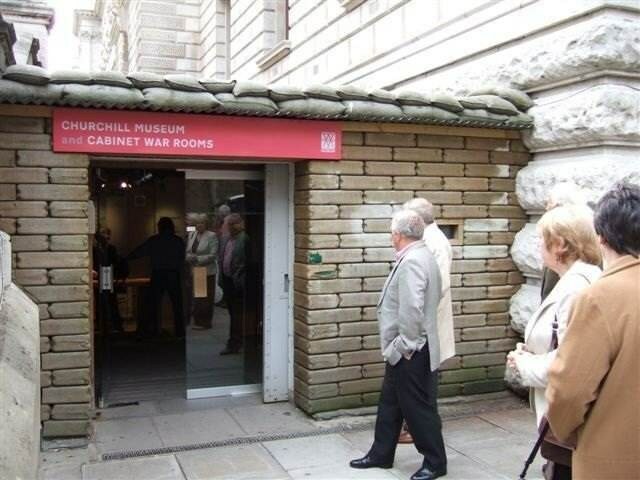 The Henley & District Ex Services Social Club for their annual outing this year, visited the Cabinet War Rooms in Whitehall, and following a good lunch in Redhill, toured Churchill's former home at Chartwell in Kent. HSL The Chair Showroom, 181 High Street, seek a part time staff member. Sunday 10-4 and two other days in the week. I have read with increasing dismay the reports in Henley NEWS On-line about the mindless vandalism that is occurring in Henley. Today, I have noticed a further example and I wondered if you are aware of it. The lovely old flower pots, which are positioned at various locations on the High Street, have been previously targeted by the hooligans . The latest one that I have noticed is the one positioned on the pavement between the chemists and opticians opposite my office. 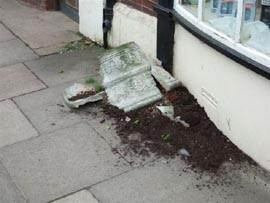 It now lies smashed with it's contents spilled out over the pavement. I think that you have been doing an excellent job by publicising these incidents. Please keep up the good work. To make your holiday greener, plant some trees to absorb the Carbon Dioxide released by flights or other forms of transport. It costs about £10 for a tree that will absorb during its lifetime, the effects of a trip to Europe. Fill in your trip details as requested and the number of trees will be calculated for you. You can then order them by credit/debit card. Alternatively, British Airways will add a tree to your BA booking if you ask!! Henley NEWS on-line is looking for additional correspondents to send in stories and pictures. Why don't you become one of our correspondents and send in stories about your area, your club, your school or events you have witnessed. Please always try to include a photo in jpg or png format.